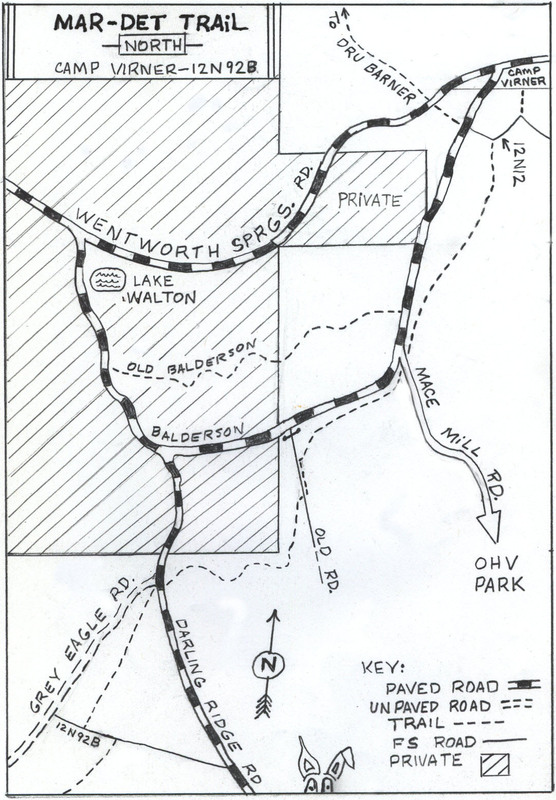 Built by a Marine Detachment in 1988 as an equestrian trail to connect the Traverse Creek Special Interest Area at the end of Meadowbrook Road to Camp Virner. Horse lovers could now reward themselves with a margarita after a six mile hot and dusty ride. Not the most scenic trail for hiking except for some views near the Traverse Creek end, the trail goes through miles of logged over forest, follows some roads, and ends up at the restaurant 6 miles above Georgetown. 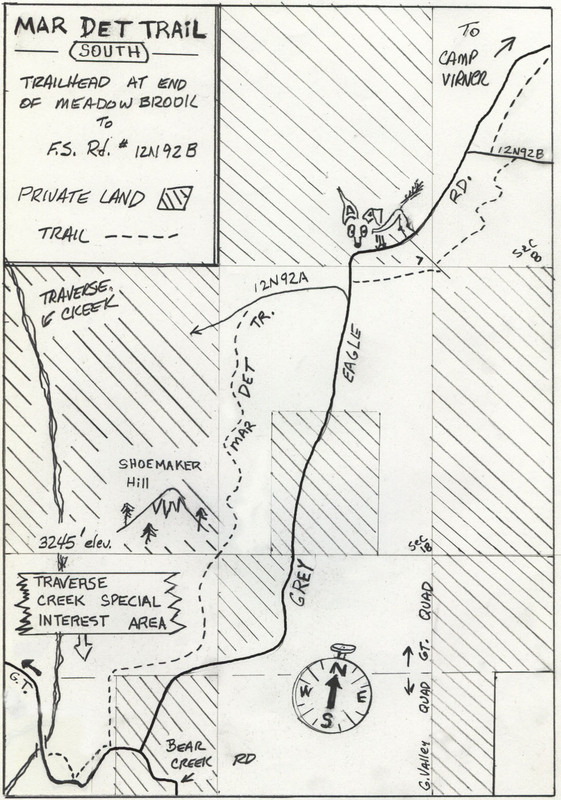 Connections are also possible to access the Dru Barner campground near the Balderson corral.